What a brilliant idea to fuse Beckett and Tony Benn’s writings. Indeed, the title says it all. 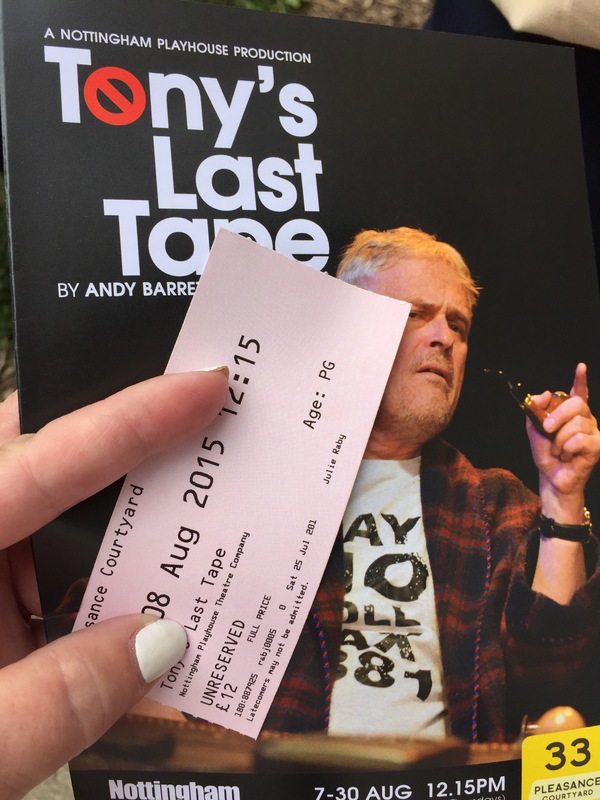 This is an exploration of the life and writing of the politician Tony Benn, but with a Krapp’s Last Tape theme. The narrative is told with lots of humour. There’s also some sadness as it is clear that the central character is near the end of his life, and what an amazing life it has been. Benn (Philip Bretherton) even eats a banana, listens to his younger self, and finds an interesting array of objects in his desk drawer. The personal life of Benn and his politics are cleverly woven together in an 80-minute show that kept my attention all the way through. This Nottingham Playhouse production is really worth seeing. You might be sent down some steps to queue, but the venue is not just inside that door in front of you. Oh no! The odds are that you’ll end up going up about three flights of stairs. There are lots of stairs to climb to this venue!